This entry was posted in Uncategorized and tagged Black Baldies, cattle, donkeys, foals, Hale, ponies, thatched cottage by derrickjknight. Bookmark the permalink. That is great news about your knee increasing range, and I am glad the crutch got adjusted–they can put such strain on wrists and armpits even at the best of circumstances sometimes. 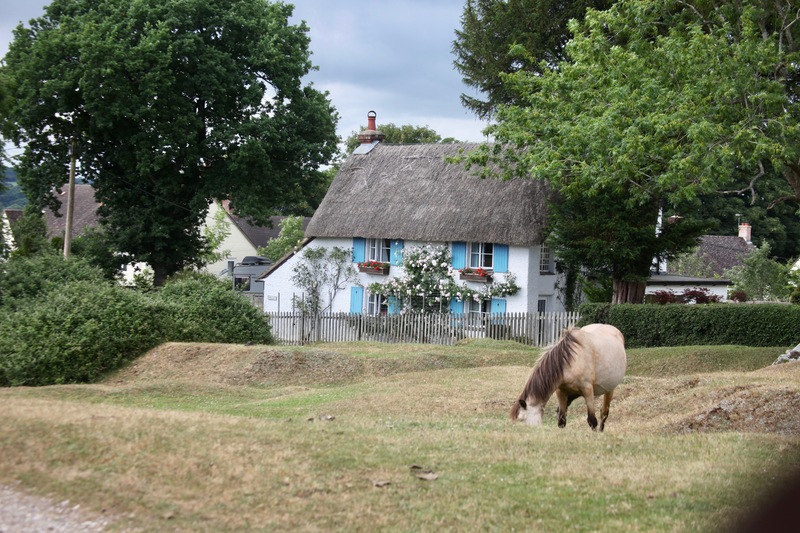 That is a darling cottage, and those ponies and donkeys and cows are so nice to see. They quite rule that roost apparently! Glad to read about the improvement! Fascinating – as usual Derrick. Always so much going on round about you. A lovely lace to live. I too hope your recovery is going very well and I just about died when I saw that baby donkey !!!! Horse/donkey whisperer! The house with the blue shutters, thatched roof and rose over the front door is surely the epitome of an English cottage. I’m guessing that like cows in India, the ponies have right of way in your area. It’s wonderful that you are doing so well in your recovery, Derrick! I love these photos–that cottage is charming. 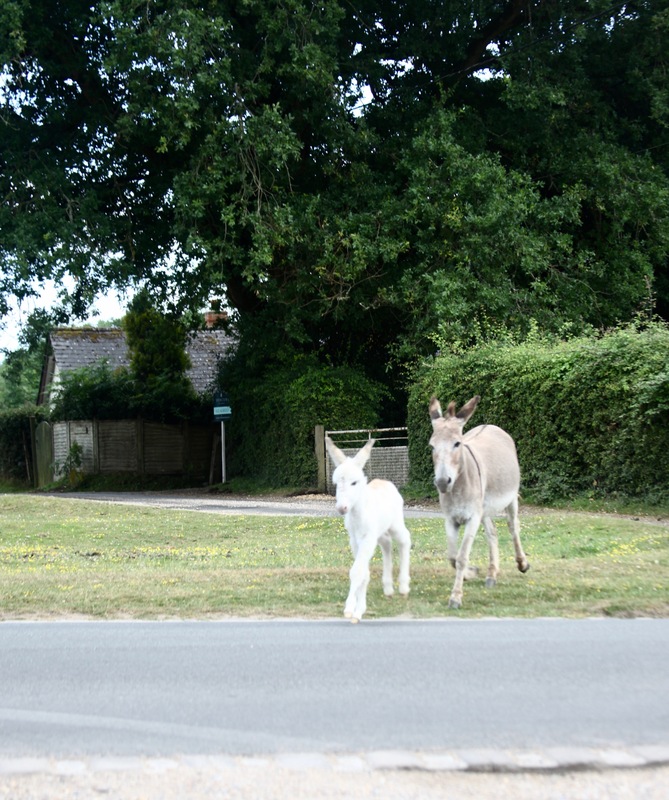 I like the Black Baldie’s face–and the little donkey is so adorable! I finally made chicken jalfrezi served with basmati rice. Please tell Jackie. We enjoyed and will have again. OMG – I bought a jar of the jalfrezi sauce just the other day – just because I saw it and I knew Jackie did such a thing. Lord knows what I will do with it. I would stir fry the chicken, with onions, add the sauce and just leave it to bubble away for a while , until all is thoroughly cooked and serve with rice, basmati if you can get it. I would probably add more garlic too! Oh, thank you so much, both of you! I was able to print out the recipe, Derrick, and I have jotted down Jackie’s notes. Jackie – I DO have basmati rice, and extra garlic is a given in my world. : ) Thanks so much for the tips. Good to read of your progress Derrick – that’s a lot of progress in two weeks. 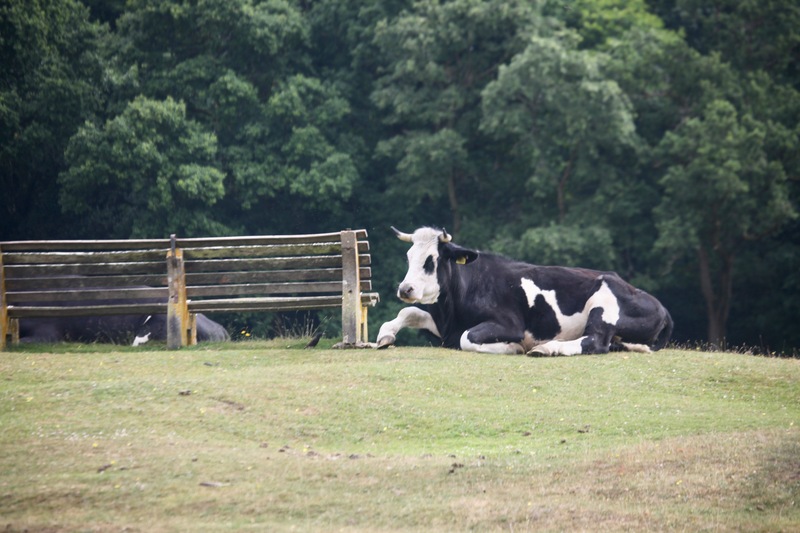 Love your countryside photographs with the beautiful farm animals. Glad to hear the knee is healing well. The assinine gentleman comment was A +. So lovely to see these creatures. Glad to know you are doing well with your knee operation. Great photos! The thatched cottage was especially nice. I’m glad you’re making such good progress with your knee. Wish for me to live in this paradise lol!!!!! That cottage must have been put there for the tourist buses? Horses and cattle and donkeys! Oh, my! 🙂 What sweet faces! They bring such happiness! 🙂 I hope they will all be safe as they rest, play, walk about, etc.! So glad to hear you are progressing well, Derrick! Keep up the good work! Good to hear the knee is progressing. Do you know what the new knee is made of? Glad to hear that your knee is improving. A friend had hers done about the same time as you and she just got her driving privileges back, she is very happy about that. Good for her, Drew. I’m way off that. Thanks very much. There’s NEVER too many foals!! These pictures are making me so happy. Wonderful news about your knee! 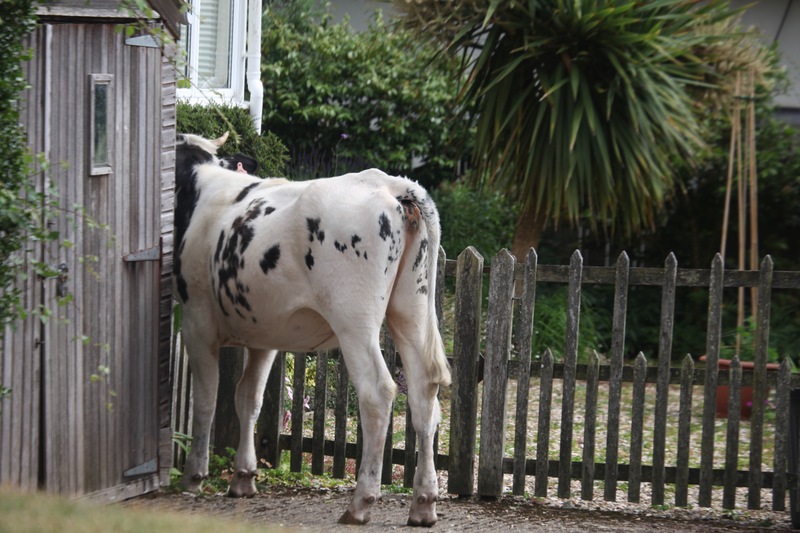 As to the other folderol…asses on parade? I’ve been out of the blogging world for a bit, so it’s good to get back to it and see these refreshing pictures. It lifts the spirit. Thanks a ton. Many thanks, Widders. You must be right about the terrain. I’ll bet there is some history there. My goodness, not sure I’d want quite that many ponies on my doorstep! Good news about your progress, Derrick! Congrats on the 20 degrees increased flexion – that’s a lot! You seem to make great progress Derrick. I very much like the last photo. Congratulations on such an improvement in your knee movement! There seem to be more horses, donkeys and cattle than ever before!